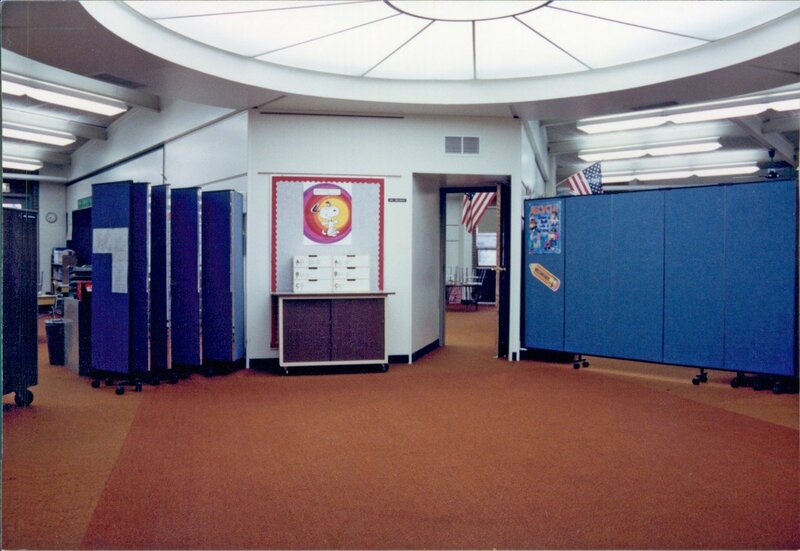 Uses: Classroom Partitions, Elementary School, Middle School, Schools Colors: Blue Lengths: WM 11 Panel 20'-2" Heights: 6'-0"
Administrators in this Addison, IL Pod school make great use of Screenflex Wallmount Dividers to create classrooms. Each pod is separated from the commons area by one Wallmount accordion divider. One side of the divider is attached to the wall to secure the unit in place and extended from the wall to separate the space. This is ideal when a divider will be used on a daily basis in the same location. A rolling room divider is best used when a room divider is needed in various locations throughout the building.